Caring for someone with Alzheimer’s disease can be rewarding, frustrating and highly demanding, all in the same day. There are about 15.7 million adult caregivers caring for someone with Alzheimer’s disease or another form of dementia — so if you’re navigating through some of these emotions, you are not alone. In addition to the heavy emotional toll caregivers of loved ones with Alzheimer’s face, these caregivers are also likelier to spend more time and money on that responsibility than other elder caregivers. A 2015 Caring.com survey of more than 2,000 family caregivers of aging adults revealed that 42% of those caring for a loved with with Alzheimer’s or another type of dementia spent at least 31 hours per week on caregiving tasks, compared to 30% of caregivers of older adults without dementia. The same survey showed that more Alzheimer’s caregivers (37%) spent at least $10,000 on caregiving-related expenses over the previous year, compared with 26% of non-Alzheimer’s caregivers. Research shows that Alzheimer’s caregivers face high levels of stress and depression, in addition to other underlying health conditions. With all of this on their shoulders, caring for someone who has Alzheimer’s disease requires a great deal of creativity, flexibility and patience. It is our hope that the information in this guide can help family caregivers better prepare for living with Alzheimer’s disease. They key is to also invest in self-care, reach out for support from friends, family and fellow caregivers and build a strong Alzheimer’s care team. The first and most important step is to let the reality of your loved one’s diagnosis sink in. Whether you’ve suspected the diagnosis for ages or it’s come as a shock, absorbing the reality ahead of you can be a sobering — but critical — process. Especially if much of the burden of care will fall on your shoulders, it’s useful to start out recognizing that Alzheimer’s disease can be an emotional roller coaster. Uncertainty about the disease’s pace can make planning for the future difficult. Alzheimer’s is considered a chronic disease that can continue for 15 to 20 years or more, with progressively more challenging stages whose length and experience can vary widely from person to person. The average life expectancy after a diagnosis depends on one’s age at diagnosis and the severity of symptoms; a major long-term study has found that in general the disease shortens life expectancy to about half that of someone the same age without the disease. A person with severe symptoms at diagnosis is apt to be shorter-lived than someone with mild symptoms, whose downward spiral may begin quite slowly and last 15 years or more. 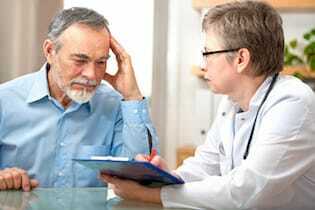 Alzheimer’s is seldom a disease people in midlife have much firsthand experience with. Take some time to learn a bit about what you’re dealing with. You’ll find masses of information out there. Shortcuts on what’s critical: Alzheimer’s stages, common caregiving issues, and what treatments are available, including any medications your loved one’s doctor prescribes and any lifestyle practices that can forestall the disease’s progress. A trusted, experienced primary care physician (a “generalist,” either an internist or family doctor) can monitor and treat a variety of health needs and also refer your loved one to any necessary specialists, whatever health issues arise. 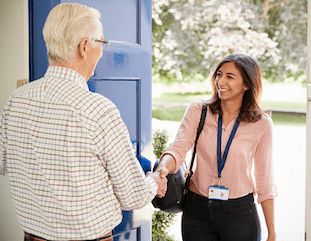 This primary doctor should be relatively easy to reach, informed about Alzheimer’s, and approachable — he or she shouldn’t mind answering lots of questions from concerned family members. 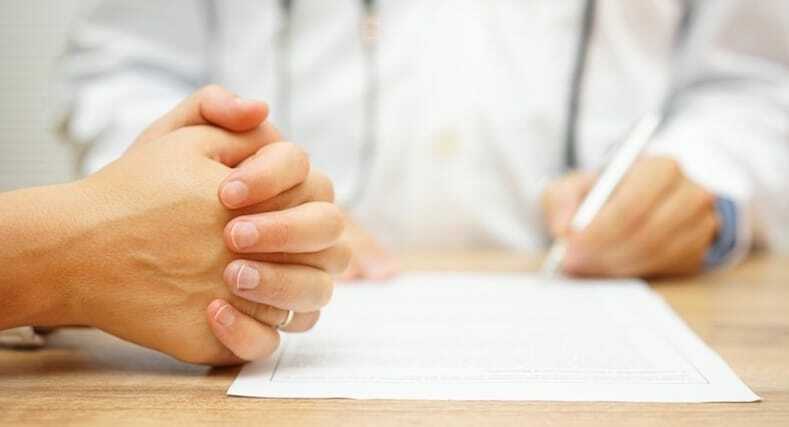 Your loved one’s longtime doctor can be especially valuable in this role, as he can help judge the changes she undergoes. If her regular family physician doesn’t have much experience with Alzheimer’s disease, however, or doesn’t seem to satisfactorily attend to her Alzheimer’s-related needs, consider transferring to a new doctor. A psychiatrist (a physician who specializes in mental illness; there is also a subspecialty of geriatric psychiatry). A psychologist, especially one experienced in working with people with Alzheimer’s, can help explain how the disease may affect the person’s mood, personality, and behavior — valuable considering that this is a disease of the mind. A neuropsychologist is a specialist who can describe how the condition of the brain (and the rest of the nervous system) relates to changes in memory, communication, personality, and behavior that result from the disease. Both a psychologist and a neuropsychologist can suggest ways to manage psychological or behavioral issues that arise as the disease progresses. A geriatric clinical social worker, geriatric care manager or coordinator, or geriatric care consultant can be of great help. This professional, who is often a social worker or nurse with special training and experience in geriatrics, can be a “secret weapon” of help — secret because despite the profession’s prevalence, patients often don’t know about it. Mediating regarding care when family relationships become strained. It’s important that the geriatric care specialist you choose is someone with experience specifically with Alzheimer’s care. This allows her to give accurate, comprehensive information about the disease process, symptom management, and treatment — and you’ll likely find that she has particularly insightful suggestions and opinions based on her experience working with other families living with Alzheimer’s. Taking on the responsibility of caring for someone with Alzheimer’s can be overwhelming, especially as the disease progresses. It’s a good idea to look into hiring an “extra pair of hands” even before you feel you need such help. 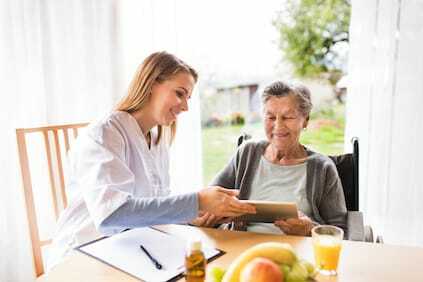 A home healthcare nurse (sometimes called a visiting nurse) or aide is someone who has been trained to provide basic care to someone in her own home in order to help the person retain as much independence and quality of life as possible. This care may include assisting with simple activities like bathing, dressing, eating, organizing or light housekeeping, moving around, and making particular rooms and areas safer or easier to use. Depending on the care provider’s background, she may also be qualified to administer medications and lead physical therapy sessions. It can be helpful but not essential to find someone with experience caring specifically for Alzheimer’s patients. 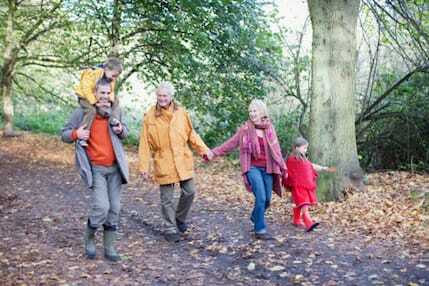 As the disease progresses, your parent will need more help managing legal and financial affairs. While not absolutely necessary, an elder law attorney is particularly fit to help with decisions regarding such things as durable power of attorney and healthcare proxies, asset management (such as through a living trust), and conservatorship. A power of attorney is a document that permits someone specifically named (an ” attorney-in-fact”) to make legal decisions for someone else, even if that person becomes incapacitated mentally or physically. A specific kind of durable power of attorney that is especially relevant to Alzheimer’s care (and other medical care) allows the attorney-in-fact to make healthcare decisions for the person when she is no longer able to do so herself; the attorney-in-fact is then also called a healthcare proxy. A legal document granting conservatorship gives someone specifically named (a “curator” or “guardian”) the legal right and responsibility to manage the care, finances, and/or personal matters of someone who has lost the mental or physical abilities to do so for herself. Caregiver stress is likely to be a part of your own future — especially if you provide primary care — and is best addressed before it becomes a serious problem. Caregiver risks include depression and burnout, which is why a caregiver team should include at least one person who provides support to the caregiver. This person could be a professional such as a therapist (social worker, psychologist, psychiatrist) or a friend or family member. The ideal candidate is a good listener who knows you well and is willing and available to provide comfort or counsel when the need arises. Additionally, it’s useful to line up key people who could step in and help with simple practical matters, like running an errand or, if it’s someone your parent is familiar with, giving her a ride or taking over for you for a couple of hours. Given the emotional and psychological changes in store for both you and your parent, you may find it helpful to confide in someone with a religious or spiritual background. This may be a religious leader, such as a priest, minister or rabbi with whom your family is already familiar. Many religious institutions provide Alzheimer’s-specific programs. You may prefer a nonprofessional confidante who can lend a kind ear and compassionate, hopeful, and faith-based reassurance. At first, you may just want to speak with a go-to person to answer initial questions, even if you don’t wind up hiring a consultant over the long term. Ask if the office of your loved one’s doctor has someone like this on staff or can give you a referral. Visit our Geriatric Care Manager Directory to find one near you. About money: If you haven’t done so already, have a frank talk with your loved one about his or her financial situation. To start off, you’ll need to know what kind of resources are available monthly and over the long term as you plan ahead for the future care he or she will need. Early-stage Alzheimer’s is the ideal time to take the legal and practical steps necessary to protect assets. About records: Put systems in place for your record-keeping. In designated files or binders, store your loved one’s medical records, financial records, and helpful personal information (such as the names and contact information of his or her friends and neighbors, hair stylist, pastor or rabbi, and others). It’s best to do this now, while your loved one can help you gather information and give medical professionals permission to share information with you. This is doubly important to do early on if you’re dealing with other health issues on top of Alzheimer’s. About dates: Set up a central calendar in your loved one’s home to help him or her remember appointments, support group meetings, and other commitments. Many geriatric care providers who work with dementia issues also recommend using a portable dated diary or journal where he or she can, with your help, develop the habit of writing down notes, details of conversations, and other day-to-day things he or she wants to recall. About help: Start your own running resource list of the names and contact information of people who can help provide care, from local Alzheimer’s organizations to friends and family who can run errands and otherwise aid you and your loved one. Discuss with siblings and other family members a way to keep everyone in the loop. It’s possible that nothing in your loved one’s life needs to change immediately following diagnosis. (One exception is driving. Now’s the time to give up the keys if he or she hasn’t done so already, since getting lost and poor judgment are hallmarks of the disease.) Most people with early-stage Alzheimer’s can remain in their own homes with sufficient checks and supports. Living independently for as long as is practical can empower him or her and perhaps slow the pace of decline. But practical is the key word. As judgment and problem-solving skills become increasingly impaired, he or she will eventually need more-elaborate help — a live-in aide or an assisted-living facility. In the meantime, with some research on your part, you can identify needs that will likely come up in the near future. Examples include self care, cooking, home maintenance, bill paying, and safety around the house. A basic outline of these issues, near and far, and possible ways to deal with them, will help everyone feel prepared. Consider any care plan a work in progress that you’ll need to update and revise periodically. You can get insider input on issues you’re liable to encounter from your loved one’s doctor, a geriatric care manager or consultant, your local Alzheimer’s associations, and online support groups. Most people simply dive into the responsibility of caring for someone with Alzheimer’s disease and then take it one day at a time. Fair enough. But before you find yourself combating both his disease and your own emotional strain and battle fatigue, be sure you have these stress-busters on your side. Don’t even think about skimming by this one. You really do need to come first on the priority list, not last. It’s almost too easy to neglect your own needs when you’re juggling caregiving, a job, a marriage, and children. But just as with tending to a child, caring for a sick adult can be depleting. If you fail to keep an eye on your own mental and physical health, you’re vulnerable to everything from colds and other illnesses right up to burnout. No one can keep up with the round-the-clock demands of Alzheimer’s care — even in the early stages — without periodic relief. Indeed, caregiver burnout is a primary reason Alzheimer’s patients enter nursing homes. Make time for yourself every single day, even if it’s just a 20-minute walk while a neighbor pays a visit. Don’t abandon all your former interests and hobbies to support someone with Alzheimer’s. You don’t have to eat the same food as him or her (especially if he’s down to simple, easy-to-manage foods), but neither do you have to subsist on drive-through fare. Stock up on nutritious, easy-to-grab snacks if time is an issue. Getting enough sleep is a special concern: To help yourself fall asleep, try incorporating some relaxation exercises or meditation into your nighttime routine. Some people benefit from yoga, tai chi, or deep breathing exercises. 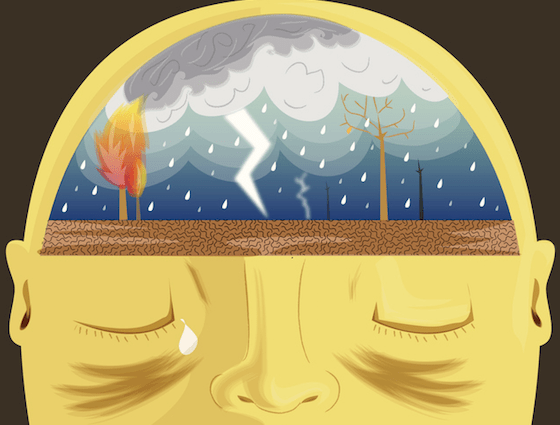 A good tension release is progressive muscle relaxation, a technique that calls for tightening and relaxing all of your major muscle groups, one by one. Your wind-down can be as classic as a warm bath or a good book. Whatever your choice, make it routine — at about the same time each evening, if you can — to help your mind associate the activity with rest. Reorganize your bedroom so that it’s a haven rather than a cluttered workspace. Make sure to get a medical exam yourself, and be sure to tell your doctor about your situation. She may be able to give you some strategies to deal with stress and anxiety, and can help you identify signs of clinical depression and, if needed, treatment options. Alzheimer’s care can be all-consuming, and it’s a common caregiver temptation — and mistake — to take it all on yourself. Having ample help keeps Alzheimer’s caregivers functioning longer and more smoothly. Of course, asking for help isn’t always easy. You may not want to bother others with what you see as a family matter or your responsibility. Sometimes it seems easier to do it yourself than to get another person involved. In fact, most people around you are more than happy to pitch in but often have no idea what they can do for you, so they may not volunteer except in a general way. When you do ask, they’re apt to be relieved that they can be of use and have the opportunity to show their affection for you or the person with Alzheimer’s. Make a list of everyone who might help you manage his new life, along with contact information. First on the list, place family members and friends. Give thought to what kind of specific help each person might provide, no matter how large or small. For example, a neighbor might pick up groceries while she does her own shopping. A teenage cousin might be able to drive the patient to medical appointments or run errands. Add to the list every individual who volunteers or asks, “How can I help?” Include people who would help you simply by being an understanding companion to call or visit. What can you outsource to a paid provider (food delivery, cleaning services, pharmacy by mail)? Who can run errands for you? Who can spell you for a matter of minutes or hours? If someone can’t help, they’ll tell you. But you’ll never know all that they can do to ease your load unless you first ask. When you can, take a longer break by recruiting someone else to take over the primary-caregiver role for a day, a weekend, or even longer. Remember, you don’t have to do it all yourself. If the person with Alzheimer’s is a member of your family, your immediate family is likely to be your primary source of support and relief. Siblings often trade off care duty and share financial burdens. But there are tremendous emotional benefits to a united family, too. Decision making is much easier when families are in general agreement. You’ll also be less likely to feel guilty or isolated, second-guess yourself, or waste mental energy feeling resentful or unappreciated if you can all work toward consensus (or at least mutual respect). Having the support of your partner and children, if you have them, similarly removes a huge source of stress. Work to keep everyone on the same page regarding the person’s condition and the important decisions that must be made. When there’s friction, consider bringing in a third party — such as a respected relative or a neutral geriatric care manager — to mediate. Be aware from the get-go that Alzheimer’s caregiving can become a source of marital conflict if your partner feels that you’re neglecting him or your “other” family. Take care not to discount criticisms in this vein. And do what you can to keep your other relationships strong. You may need to bring in outside care to achieve this goal, and you shouldn’t feel guilty if you do. Your relationships with your partner, family, and close friends will likely outlive the person with Alzheimer’s if tended well. Alzheimer’s-related services offer practical and emotional support that can transform a difficult time into one with pleasant moments, too. What’s more, learning about respite care, caregiver training, and assistive devices to make physical care easier has been found to ease stress and delay the need to place a loved one in a nursing home, according to a 1997 Urban Institute report. You’ll particularly need outside support if you’re coping with wandering, sundowning, or disturbed sleep. You may be surprised by the variety of people, programs, and devices available to make your life easier, many of them at little expense. Start by conferring with the doctor of the person you’re caring for and branch out to specialists, geriatric care consultants, therapists, and community programs such as respite care. Alzheimer’s disease associations and support groups are often free and a great way to receive emotional support as well as to learn caregiving tips and ideas. Not having a clear picture of your situation or the prognosis sets you up for rude awakenings or a lot of unnecessary struggle. Once you know what to expect, you can adjust your expectations accordingly. This process also makes it easier to accept his fate. Learn as much as you can about Alzheimer’s and stay abreast of what to expect at different stages of the disease. Talk to others who’ve lived through the caregiving experience on message boards or in support groups. You’ll be better able to deal with what you’re going through and gain a peek at what could lie ahead. You’ll learn from experience to be realistic about expectations for the person with Alzheimer’s. Keep outings with friends relatively brief and uncomplicated. Figure out what kinds of food, activities, music, and other daily routines work — and stick to them. Be realistic, too, about your expectations for family members. Distant siblings may simply not be able to devote the same time to caregiving as those nearby, for example. Children may be disturbed or frightened by the changes in a grandparent and shouldn’t be expected to understand the disease and pursue the same kind of relationship as before. Alzheimer’s disease is progressive, which means that while the person with Alzheimer’s may stabilize for a long stretch of time, he’ll never recover lost abilities. He’ll only gradually worsen over time. It’s one thing to understand the progression of the disease but a different matter to put a corresponding action plan in place. Having a plan makes the emotional transition easier and helps everyone understand the needs involved, financial and otherwise. What needs to happen at this stage in terms of care? For example, soon after diagnosis you’ll need to arrange access to medical, legal, and financial records, as well as the transfer of decision-making authority to you, another family member, or a close friend. By the end stage, someone with Alzheimer’s needs round-the-clock care, and you can start to figure out where that would take place and by whom. Start talking with family members about these things now, even if they’re difficult. Seek the input of the doctor, a geriatric care manager and other professionals involved in her case. In the long run, you’ll be glad you did. It’s so easy to become frustrated when talking to someone with dementia or Alzheimer’s. It’s hard to know the “right” way to respond to the repetitive or odd things he sometimes says. You won’t be tongue-tied if you keep these simple communication techniques in mind. When you want to start a conversation or ask a question, get the person’s attention in an obvious, direct way. Start by approaching him from the front and saying his name. This will help him focus on you and prevent catching him by surprise, which may set him on edge and make him less able to concentrate on the conversation. Someone who’s older may be somewhat deaf, and this direct approach also makes it easier for him to hear you. If the person doesn’t understand something you’ve said, repeat it exactly the way you said it the first time; that will give him more opportunities to figure it out. If you’ve asked a question that’s not connecting, ask it again the same way. Do this within reason, of course — if two or three repetitions fail, try rewording the message in different, simpler terms. Use other gestures such as shaking or cocking your head or raising your hands palms-up when asking a question. Beware of accidentally sending negative signals: a blank apathetic expression, brows knitted in frustration, crossing or folding your arms in front of you, and placing your hands on your hips. Your tone speaks louder than words, too. So try to keep your voice pleasant and inviting, not overly loud (unless deafness is a real issue). Be careful not to express anger or frustration — even when you’re reaching your limits. Stick to familiar, easy-to-understand topics, too. A person with Alzheimer’s or other forms of dementia is less likely to be confused if you talk about his favorite subjects or things he’s demonstrated he remembers or relates to well — the weather, what’s for lunch, the birds at the feeder, a ball game. Discussions that require abstract thinking or a great deal of concentration — politics and current events, for example — may prove too complicated. Inevitably the person you’re talking to will repeat the same conversation you just had a few minutes earlier. Above all, refrain from pointing this out. Memory lapses are a physical glitch beyond his control, and emphasizing his impairment is likely to make him feel embarrassed or frustrated. Instead, give simple, polite responses (even if they’re the same responses you just gave five minutes earlier). Alternately, if appropriate, redirect the conversation — but if he fixates on getting an answer from you, go ahead and give it. His insistence means the subject is important to him. An occasional prompt is OK if he or she is having trouble finding the right word or remembering something — but tread lightly. Frequent corrections, correcting in a critical or patronizing manner, or showing your disappointment or frustration all eat away at his self-esteem. Responding in these ways just makes the person less likely to want to open up and communicate. Use his reactions as your guide. You may just choose to limit corrections to times when it’s absolutely necessary. Above all, have realistic expectations. Even early on in the disease process, someone with Alzheimer’s may occasionally use the wrong word, get confused, or forget what was said just a few minutes ago. Don’t let these slips rattle you. Such cognitive problems aren’t under his control, and probably already cause him considerable stress and frustration — he doesn’t need to see you upset as well. Realize that language problems are likely to increase over time. Your patience and understanding now will help cut down on the frustration and irritability these changes create in the person you care about — and protect him against withdrawing from social situations. Stress and burnout are the most common problems for those who care for someone with Alzheimer’s disease. And, in turn, caregiver stress — the emotional strain of tending to a loved one — is one of the biggest reasons people with the disease enter nursing facilities. Take stock of your stress level by asking yourself whether you’re experiencing any of the following emotional and physical symptoms. For an even better reality check, have your partner or other loved one answer the questions for you to see what someone close to you thinks. Do you feel sluggish even after a good night’s rest? Caring for someone with Alzheimer’s involves constant vigilance and activity. So if you feel “off” instead of “on,” it’s hard to perform your duties adequately. 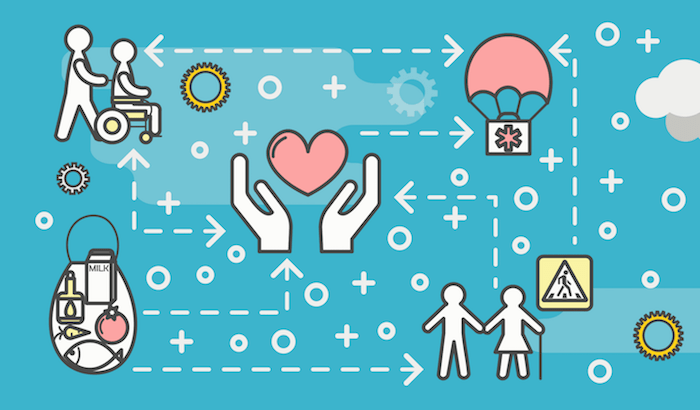 It may be that you find parts of the caregiving puzzle more challenging than others — for example, managing your parent’s finances or other health concerns. Sometimes the routines that people with Alzheimer’s thrive on can become stifling to a healthy adult child. Routines do help you and your parent get through the day more easily, but they can leave you feeling like you’re stuck in a monotonous rut. 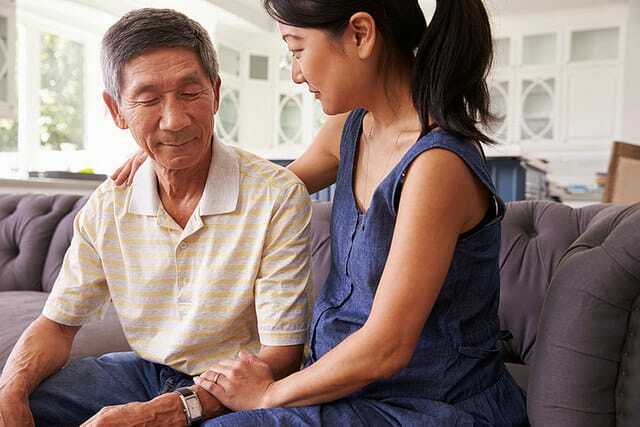 Nearly every professional involved with Alzheimer’s or other forms of dementia recommends support groups for caregivers and loved ones of people with the disease, simply because it can be so challenging — emotionally, mentally, and physically. As the disease progresses and alters a person you know, you’re bound to experience a range of reactions and face ever-changing problems. Being with other people in similar situations can be a source of practical help as you learn about new ideas and resources. But most of all, it’s helpful to talk to or listen to others wrestling with similar problems and the complicated feelings they bring. They may meet weekly, biweekly, monthly, or bimonthly. Some have fixed start and end dates, just like a series of classes. Others meet on a regular basis for anyone who drops in. The individual meetings typically last about two hours each, and many are scheduled during evenings or weekends, to fit around working hours. Groups vary in size, usually being open to between six and 20 people per session. Ideally, they’re small enough for everyone to contribute and feel comfortable with one another. It depends on the group. Some are specifically organized to help a particular subgroup of caregivers — adult children, for example, or male caregivers. Some are set up for those whose family member is in a certain stage of the disease. Groups for early-stage Alzheimer’s groups are increasingly available. Some gatherings have a faith-based or spiritual component. It’s helpful to know about the group leader’s background. Groups are generally led by medical professionals, social workers, experienced caregivers, or volunteers who’ve been trained to lead support groups (and who usually have had firsthand experience with the disease). If the facilitator isn’t a professional, ideally she should be sponsored, supported, or trained by a trustworthy organization such as the Alzheimer’s Association or the Alzheimer’s Disease Research Center. Facilitators should be able to wear several hats: They may lead discussions by introducing specific topics, may balance group members’ opinions and advice with other perspectives, may teach or share useful information, and may offer reassurance and encouragement. Groups vary in their purpose, organization, and “feel.” Some support groups are formal, with guest lecturers scheduled to talk about common topics of interest to caregivers, like managing problematic behaviors or financial planning. Others are informal, inviting members to share stories about their experiences and give one another moral support. Many groups use a combination of these approaches, alternating candid conversations among members with lectures from special guests. What’s the benefit of an Alzheimer’s support group? Despite the differences among support groups, they have one thing in common: All have the potential to become an essential component of a caregiver’s well-being and success. By blending psychological support and practical knowledge, an Alzheimer’s support group is a resource that can’t be replicated just by reading up on the disease or by leaning on friends or a partner for moral support. Support groups offer caregivers and family members the opportunity to ask questions, share stories, give and receive comfort and advice, and learn more about Alzheimer’s disease (including its different stages, caregiving strategies, relevant legal advice, housing and other care options, local care contacts and resources, and more). For many caregivers, a support group is a place to exhale. You may hesitate to confide certain information or experiences with family or friends who also know the person with Alzheimer’s. You may fear that you’ll be judged or criticized, or worry that what’s said can affect family dynamics. It’s often easier for any of us to talk with strangers who aren’t involved in our particular situations. And because the other group members have “been there,” they may be more likely to listen compassionately to your expressions of guilt, frustration, or anxiety, or to stories about mistakes you feel you’ve made or challenging situations you’ve faced. A confidential, positive setting for sharing your experiences — and releasing your emotions — is known to be a tremendously important factor in how well one copes with caregiver stress. Groups are sponsored and organized by local Alzheimer’s Association chapters, hospitals, churches, or other social-service or community organizations. Ask any of these institutions or the patient’s doctor if they can suggest programs to investigate. These days they’re easier to find than ever, as the disease affects ever-larger numbers and continues to lose its stigma and mystery. 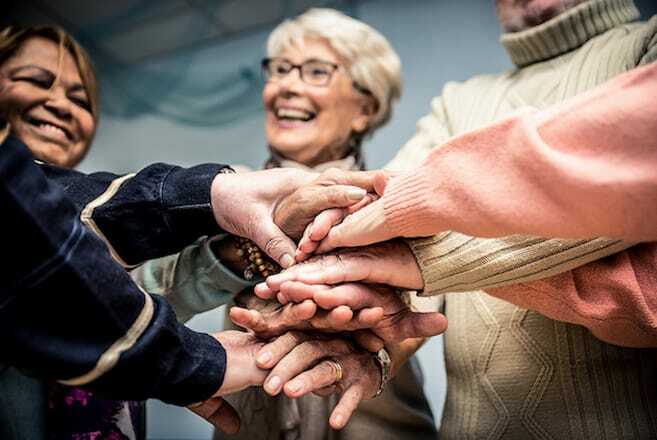 Good sources of information on support groups, in addition to your local Alzheimer’s Association chapter, include your local Area Agency on Aging, other social-service agencies, local hospitals, the patient’s physician(s) and other health care professionals, a geriatric care consultant/coordinator/manager, adult day centers, and other caregivers. You can also participate in Caring.com’s Online Alzheimer’s Support Group right now. How do I find one right that’s for me? The trick to getting the most out of a support group is to find a good fit. Consider whether a group is convenient to your schedule and location, addresses your specific needs, and feels comfortable to you. It’s important that you feel at ease and can open up about your experiences and ask questions — if not on your very first visit, then after you’ve sat in on a session or two. You may need to try out a few groups before settling on the right one. Don’t be discouraged if one (or several) doesn’t feel right to you — investigate another. Some people benefit from joining more than one group. In addition to an Alzheimer’s support group, you may want to consider a group for caregivers of people with dementia of all forms, or a group for caregivers in general. If your schedule is tight or you can’t find an appropriate group locally, try looking online. Numerous online support groups are available through reputable websites and organizations. One example: Alzheimer’s List, a group organized by the Alzheimer’s Disease Research Center at Washington University in St. Louis.